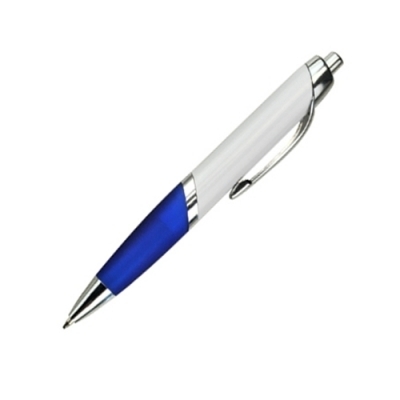 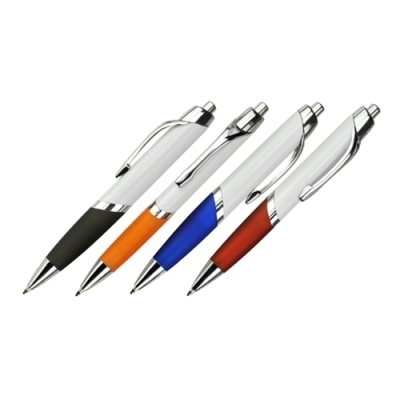 Features: Push Action Plastic Pen, Opaque White Body with Colored Rubber Grip, Black Ink Refill, Tungsten Carbide Ball. Product Dimensions: 136 mm x 14 mm x 11 mm. 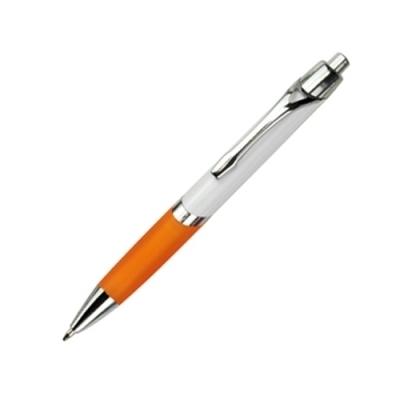 Printing Area:- Barrel: 45 mm W x 10 mm H.
Available in a range of color(s) including Black, Blue, Orange, Red only.